Art critic, curator and historian, holds a Ph.D. in History and Theory of Art from the University of Essex in Britain and a BA in History from the National Autonomous University of Mexico (UNAM). Since 1993 he has been a full time researcher at the Instituto de Investigacionesstéticas at the National Autonomous University of Mexico (UNAM), lecturer at the Philosophy Faculty and the Postgraduate Department of Art History of the same university, and between 2002 and 2008 was the first Associate Curator of Latin American Art Collections at the Tate Modern. He has widely published texts in books, catalogues and periodicals, and among other things between 1999 and 2013 he was in charge of the art critical section of the Reforma newspaper in Mexico city, titled “Ojo Breve”. A recent compilations on his critical interventions on art in Mexico has been published with the title Abuso Mutuo (Mutual Abuse) by Cubo Blanco and RM in 2017. First launched in 1996, the Shanghai Biennale is not only China's most established and influential international biennale of contemporary art, but also one of the most important biennales in Asia. With its changing theme every two years, the biennale has always taken Shanghai as its primary focus, gathering the most talented and cutting-edge international curators and artists at the pinnacle of the industry, to explore the ultimate connection between urban life, contemporary art and the public. It has also become a large-scale biennale platform in Shanghai for the exchange and exhibition of contemporary art pieces. Mexican architect Frida Escobedo is in charge of the whole design and plan of this exhibition. Escobedo adopts the concept of corridor and backstage, endowing artworks with unique spaces for narratives and composing visual connections among the exhibitions on the 1st-3rd floors of Power Station of Art. Audience members are welcome to wander, linger or get lost in their own mind, with various viewing rhythms enabled by different spaces. 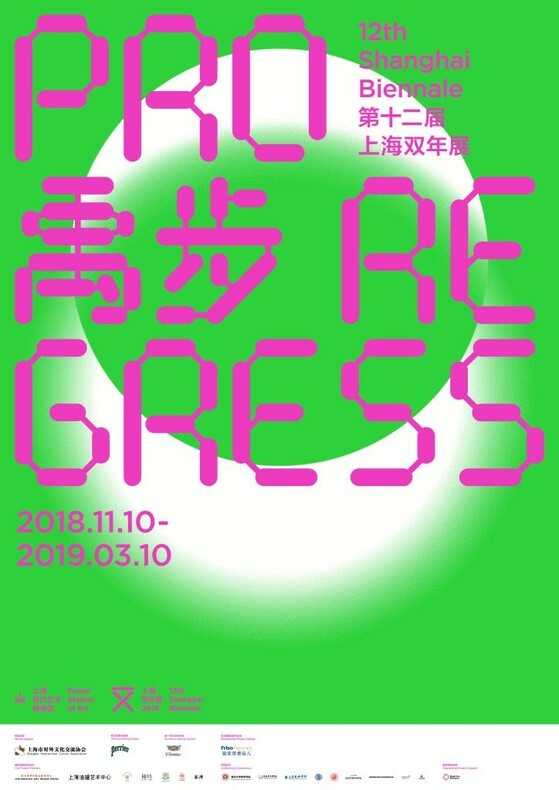 As a unique urban identity and cultural trademark, the Shanghai Biennale has long been committing itself to enabling active dialogues between contemporary art and culture with the booming city of Shanghai. First launched in 2012, its City Projects has now grown to be an integral functioning component of the biennale event. For its 12th edition, the Shanghai Biennale will team up with a rich selection of partners of different backgrounds including: Swatch Art Peace Hotel, Tank Shanghai, Extra Time, Columbia Circle (renewed site of SIOBP), Sinan Mansions, Biblioteca Miguel de Cervantes de Shanghái, and The Paper ·City Hall. With these collaborators, parallel sites will be set up across the city such as pavilion, cinema, laboratory and sound field; as well as dispatching historical investigators and explorers, in the expectation that such innovative forms can help provide distinctive life perspectives to the public as we re-discover Shanghai’s cultural charms.